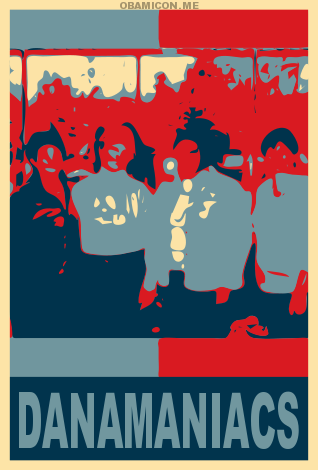 A mission statement for the Danamaniacs. Those ‘maniacs are closing in on a thousand members on their Facebook page. 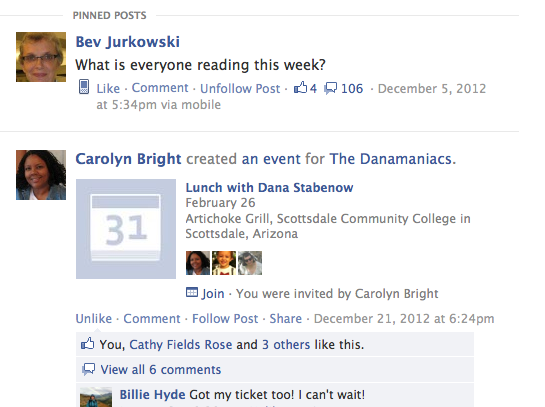 The DANAMANIACS is a group formed over 12 years ago by a small, dedicated group of readers of Dana Stabenow. We have established a new community on FaceBook, but with the same mission and values. As we reach the 1000 member mark, we as managers, feel that it is a good time to restate our mission and code of conduct for our membership. The DANAMANIACS has been created to provide a place to come together with all those who enjoy the work of Author Dana Stabenow. We discuss Dana’s work and freely share new authors and old favorites. We organize occasional chats with our membership, sometimes inviting guest authors to join us. Success of our mission is measured by our membership feeling their visits are time well spent. We recognize there will be a variety of opinions on the books read and discussed on our site. People will have the ability to disagree as long as these differences still maintain the respect and dignity our members deserve. The managers of DANAMANIACS reserve the right to remove material that we feel is not in keeping with our mission statement, but we prefer that you monitor yourself. Please use the DANAMANIACS page as a place to make or find reading recommendations. It’s what we’re about! Please take the time to welcome newcomers. Consider each new member as a resource for authors you may not have yet discovered. Please use your personal FaceBook page to share your thoughts on subjects which don’t meet with our mission statement. We want everyone to have a positive experience. In closing, it’s easy to assume that our membership has read all of Dana’s books, but there are many new readers that have not. When discussing any of Dana’s books, please preface your post with a clearly stated *SPOILERS* to avoid disappointment for someone that has not read that particular book. We are here to have fun, talk about books, authors and forge new friendships. We hope you will enjoy. I will testify that is a bunch of fun, smart people, with a common, nearly devout interest in good books. It’s no wonder we get along so well. They have a chat room offsite where they schedule chats among themselves, with me a couple of times a year, and with other literary luminaries such as Julia Spencer-Fleming, C.J. Box, JoAnn Mapson and Steve Hamilton. CathyO, Sandy, Carolyn, and Cathy Rose, the four 'maniacs managers. What, you don't recognize them?